Facebook today began the slow rollout of Sponsored Story ads within its home page’s main news feed. Instead of clearly marking them as “Sponsored” ads though, they’re labeled “Featured”. This could initially mislead users into thinking these ads are simply important stories about their friends or Pages they Like. Users might only learn they are paid ads after hovering over the marking. Facebook is trying to distinguish them from sidebar ads that are marked “Sponsored” but that can be bought by any advertisers. However, most people don’t associate the word “featured” with “paid ad”. The act of purchasing a Sponsored Story news feed ad does mean increasing the prominence of content that could already appear in the news feed, which could be called “featuring a story”. Users may hover over the word “Featured” to reveal a black box of text explaining “A sponsor paid to feature it here”. Still, at first glance it’s ambiguous to those viewing the ads. Facebook even already uses the word “feature” to mean increasing the size of a story on one’s own Timeline. Stories that naturally appear in the news feed are eligible to be “Featured”, such as when a Page you Like posts something, when a friend Likes a Page or Page post, or when a friend checks in to a business or uses a third-party app. The Page, business, or app’s owner can then pay to make these stories more visible. Users who want to avoid seeing these ads can hide them individually, limit the news feed volume of a friend who generates them, or Unlike the Page buying them. There’s no way to opt out of having your own content “Featured” except by not interacting with businesses, Pages, or apps. Facebook ran ads in the news feed between 2006 and 2009, but discontinued them from then until now. They could once again become a major revenue stream for the company because they’ll appear front and center mixed in with organic social content. However, they represent a risk. At first Facebook will show a roughly one news feed ad per user per day. But if they’re not clearly marked or Facebook later chooses to show more, they could decrease trust in the news feed or make it less satisfying to browse. Facebook will be keeping a close eye on the rate limit to protect the user experience, but this is not the best start. The switch from “Sponsored” to “Featured” is more of language mistake than an attempt to be evil. 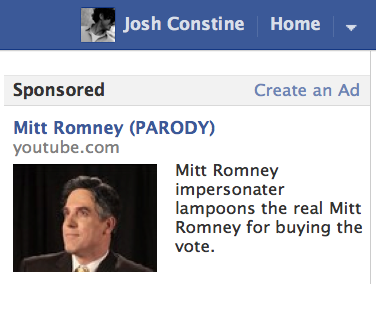 Few users have seen these yet, so Facebook should consider choosing a different term to denote the ads. Facebook will also need to be careful about choosing the right terminology for news feed ads in languages other than English. Postscript: Really, Facebook should just keep Sponsored Stories in the news feed marked “Sponsored” and rename its sidebar ads from “Sponsored” to…”Ads”.